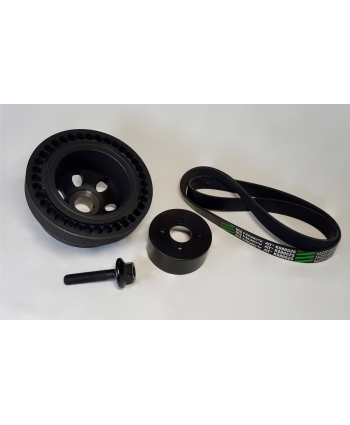 This belt wrap kit (BWK) is designed to Reduce Slip and maximize boost pressure by creating more contact surface with the supercharger pulley. Under heavy acceleration the M113K engines supercharger is known to slip on the belt which creates less boost. 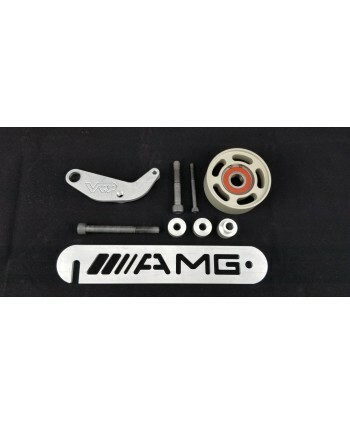 This kit allows the engine to maintain proper boost pressure.This Belt wrap kit will help to smooth out your power curve and can net a 1-2 psi inc..
Mercedes M113 Performance 3 Piece pulley set. Not a cheap offshore imitation. 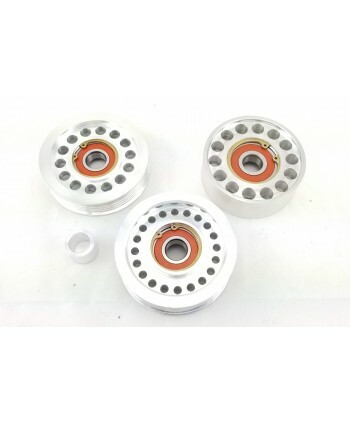 Made in America, this 3 piece idler set will replace your stock plastic double idler pulley assemble and tensioner pulley with high quality and high performance replacement parts.•	CNC billet aluminum•	ZZ rated high speed Nachi bearings •	Smooth and quiet running •	Easy install •	Made in USA and highe..
Includes all pulleys needed to replace the factory plastic idlers on your M113K AMGHigh quality CNC billet aluminum machined performance pulleys CNC billet aluminum ZZ rated high speed Nachi bearings Smooth and quiet running Easy install Made in USA and highest quality available by ASPYou will need a washer for the lower smooth idler..
High quality CNC billet aluminum machined performance pulley CNC billet aluminum ZZ rated high speed Nachi bearings Smooth and quiet running Easy install Made in USA and highest quality available By ASP..
Supercharger drive and accessory drive billet idler pulleys.2 grooved pulleys.High speed sealed bearing.OEM plastic pulleys often fail.Made in the USA! 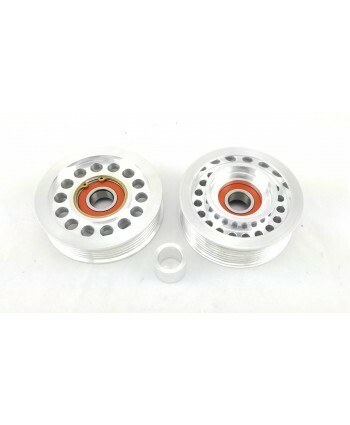 Supercharger drive and accessory drive billet idler pulleys.2 grooved pulleys.High speed sealed bearing.OEM plastic pulleys often fail.Made in the USA!.. 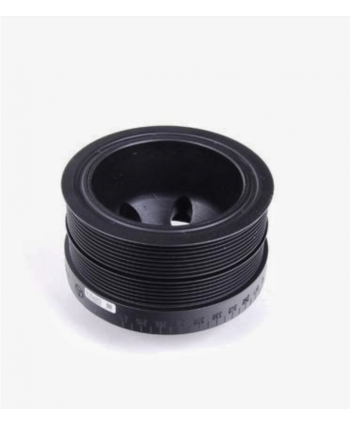 The AMG55 (113K) scattershield was designed to protect the engine from the catastrophic damage that often occurs when the springs break in the Supercharger pulley clutch. 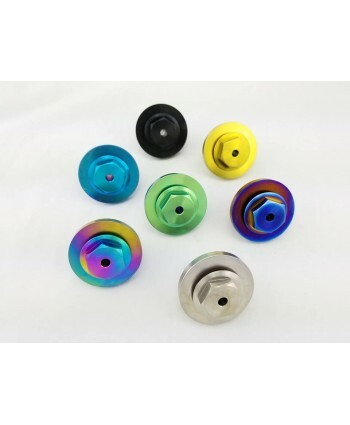 Each comes with a printed copy of the full color install instructions and an allen wrench for installation. 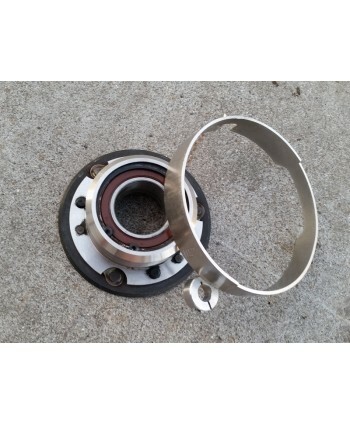 This Scattershield Retains the factory Engine cover and works with all pulley sizes..
VRP Titanium Supercharger Pulley Bolt and washer*Use anti galling compound when installing supercharger bolt. *** Burnt, black and titanium currently sold out..
Crank pulley separating? 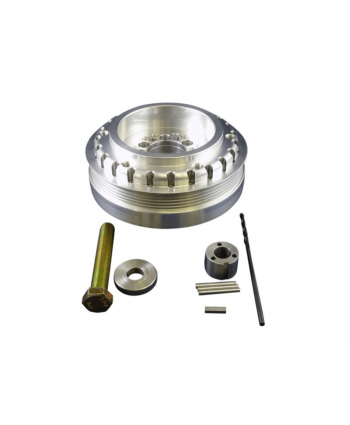 Already got a Supercharger Pulley?We offer Crank pulley kits to complete your Pulley setupComes standard with a pinning kit that is very easy and straight forward for any shop or person to install. 3 pins lock into the front of the crank to ensure that the balancer will never twist the subpar factory key way off. Comes with 10.9 hardness crank bolt and washer. 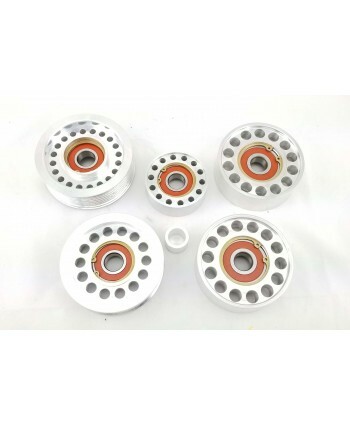 Aluminum des..
Modular outer rings for the Modular Crank PulleyCrank pulley Rings available are 168175180195..
Crank pulley separating? 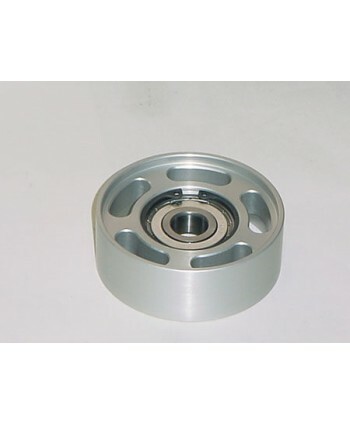 Already got a Supercharger Pulley? 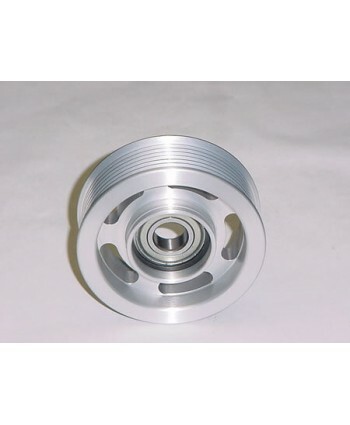 OEM Balancerssl55e55cls55g55cl55s55*2 week lead time on all crank pulley orders.. 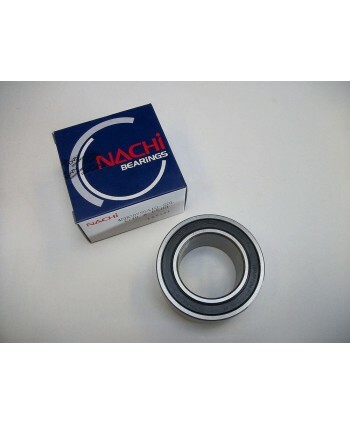 Replacement Nachi Bearing for Factory supercharger Pulley..
Crank pulley separating? 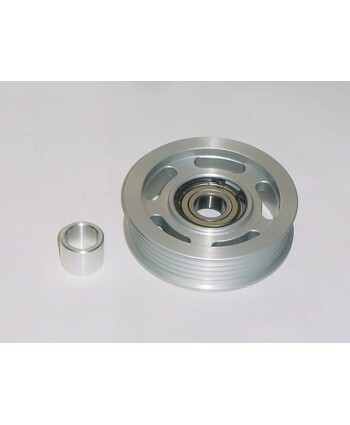 Already got a Supercharger Pulley?We offer Crank pulley kits to complete your Pulley setupAdd a 180 crank pulley to an 83mm supercharger pulleyadd a 168 crank pulley to a 76mm supercharger pulleyrun a 195 crank pulley by itself!These are made from OEM BalancersInclude:OEM BoltCrank PulleyBeltWaterpump PulleyCrank pulleys benefit you with reduced slip with the same power ga..